New Delhi [India], Sept 13 (ANI): Hailing Russia as India's largest investment destination in the oil and gas sector, Union Minister Dharmendra Pradhan on Thursday said that Moscow will always be a priority in New Delhi's foreign and energy policy. Speaking at a conference titled 'India-Russia in the 21st Century: Enhancing the Special Privileged Strategic Partnership' here, Pradhan said: "I believe that our time-tested relationship has no expiry date. Russia will always be a priority in India's foreign and energy policy and both our countries will remain as a role model for global communities." He told ANI on the sidelines of the conference that Prime Minister Narendra Modi and Russian President Vladimir Putin share a "deep friendship" and that the two countries have built an 'energy bridge' between themselves. "Prime Minister Modi and Russian President Vladimir Putin share a deep friendship and respect for each other which is beyond the business and diplomatic relations. Today Russia is the closest friend," he noted. National security advisor (NSA) Ajit Doval held talks about the future of bilateral ties with the US in a string of meetings with top American officials on Friday, including with his counterpart John Bolton, as India pressed its case for the purchase of Russian-made S-400 missile systems. India conveyed to the US that the integrity of American military platforms in service with the Indian Air Force (IAF) and future acquisitions will not be compromised if New Delhi goes ahead with the purchase, backing its case with technical arguments. The NSA travelled to Washington to convey Prime Minister Narendra Modi’s vision of the future direction of Indo-US ties. On the eve of the 2+2 dialogue, Modi shared his vision with external affairs minister Sushma Swaraj, defence minister Nirmala Sitharaman and NSA Doval. Why does U.S. want India to import more? President Donald Trump came to power partly on the promise that he will create more jobs and that other countries would not thrive at the expense of the U.S. In his dealings with the rest of the world, he has made it amply clear that if the U.S. buys more from another country than what that country buys from the U.S., America loses; something he does not want. That spirit has spurred his move to impose higher duties on imports to spur local manufacture and increase jobs in the U.S. The same spirit is also behind the move to pressure India to import at least $10 billion a year more from the U.S. over the next three years. 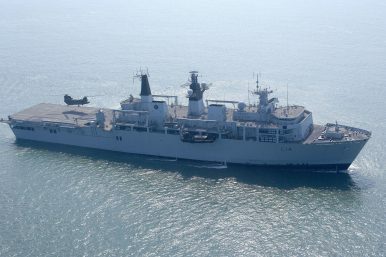 The Indian military should stop open-ended capability-building. 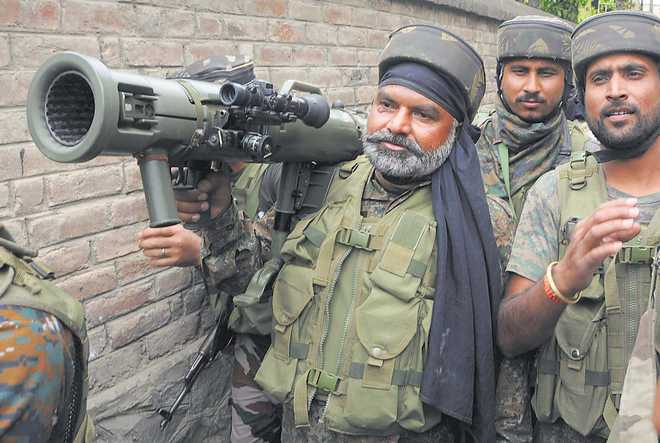 THE proposed restructuring of the Indian Army is a one-man show, meant to deflect political pressure to reduce the army through perception management. The Army chief General Bipin Rawat’s suggestions are not reforms, but quick-fixes through borrowed ideas. The key idea of joint-ness at the top (Army Headquarters and field formations) by cutting down directorates and headquarters is straight from China’s People Liberation Army’s 2015 military reforms book. Instead of suggestions from field commanders on how to reduce troops without compromising operational efficiency, Gen. Rawat has put the deliberative process on its head by announcing his verdict to his commanders. Moreover, he has rushed to disclose the convening order of the three committees (the preliminary stage) to the media as fait accompli well ahead of the final acceptance within the service. 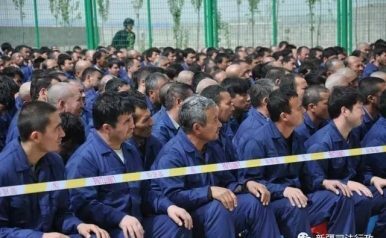 Recently, China firmly denied any report that emphasizes the existence of many “re-education camps” in the Western region of Xinjiang, where Muslim minorities, mainly Uyghurs and Kazkahs, are detained. Chinese official Hu Lianhe declared before the UN Committee on the Elimination of Racial Discrimination (CERD), that “there is no arbitrary detention” and “no such thing as re-education centers” in Xinjiang. Foreign Ministry spokesperson Hua Chunying stated that reports on Xinjiang’s detention camps “are based on unverified and irresponsible ‘information’ that has no factual basis at all.” Yet, a huge amount of factual and publicly available material proves the opposite: local government public documents, pictures and satellite pictures, a plethora of testimonies. Based on an academic methodology, the brilliant work of international scholars such as Adrian Zenz, Rian Thum, Jessica Batke, and Shawn Zhang (to name a few) greatly helped to unveil this reality. 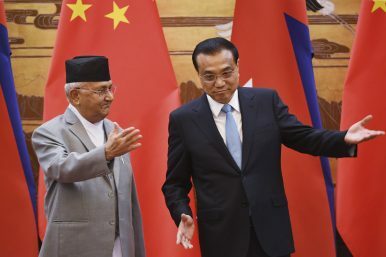 Two years after signing their historic Transit and Transport Agreement, Nepal and China have finalized the much-awaited protocol of the treaty, paving the way for Nepal to use Chinese ports for trade. In March 2016, when Nepal was recovering from 2015’s double-whammy of a major earthquake and the blockade at the Indian border, the Nepal government, then (and now again) under the leadership of K.P. Sharma Oli, signed the agreement ending India’s complete monopoly over Nepal’s supply system. The treaty was signed with the knowledge that overdependence on one country could invite problems for a landlocked country like Nepal. Therefore, the thinking went, Kathmandu must diversity its trade and transit options with other countries — mainly with China, its other neighbor. China’s role in Sri Lanka, which has grown remarkably in recent years, is poised to expand geographically as well. Hitherto, Beijing’s projects were confined to the southern parts of the island. It is now making inroads into the Northern Province and the rubber, tea, and coconut plantations of the central highlands. 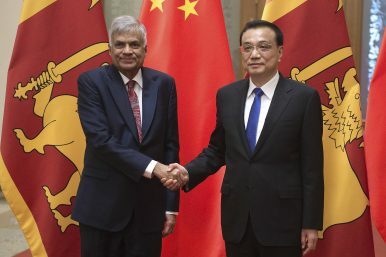 In April, state-run China Railway Beijing Engineering Group Co. Ltd. won a more than $300 million contract to build 40,000 houses in Jaffna district in the Northern Province, which suffered extensive damage during Sri Lanka’s 26-year-long civil war. Shares in China and Hong Kong declined Monday, with the Shanghai Composite Index slipping to within 30 points of its 2016 closing low as Donald Trump threatened to put even more tariffs on Chinese goods. The Shanghai benchmark fell 0.9 percent to 2,678.90 points as of 2:01 p.m., moving nearer to its January 2016 closing low of 2,655.66. Apple Inc. suppliers were among the worst performers after the company warned tariffs would affect many of its products and increase costs. In Hong Kong, the Hang Seng Index dropped 1.3 percent -- the benchmark is now down more than 19 percent from its January high and inching closer to entering a so-called bear market. President Donald Trump is a game-changer and in so many ways. While Southeast Asia rarely features on his agenda, the Trump-initiated “trade war” could well end up resetting global manufacturing and the all-important supply chains as exporters seek to lessen their exposure to China. For the three giants of Asean (Association of Southeast Asian Nations) with populations of over 90 million – Indonesia, the Philippines and Vietnam – this could be a major opportunity. Essentially, each of the three is vying to attract industrial investment and the attendant employment. To date, Vietnam has been the most successful. Indeed, Samsung, the world’s largest smartphone manufacturer, has invested over US$17 billion in Vietnam, contributing close to a quarter of Vietnam’s total exports of US$214 billion in 2017 alone. Why China's Stealth Fighter Can't Touch an F-22 or F-35 in Battle We explain. A Strategic Alliance in the Making? Should the U.S. be worried about a Sino-Russian alliance emerging? The Trump administration is giving Beijing another chance to try to stave off new tariffs on $200 billion in Chinese exports, asking top officials for a fresh round of trade talks later this month, people briefed on the matter said. The invitation from Treasury Secretary Steven Mnuchin comes as some Trump officials said they sense a new vulnerability—and possibly more flexibility—among Chinese officials pressured by U.S. tariffs imposed earlier this year and threats for more. 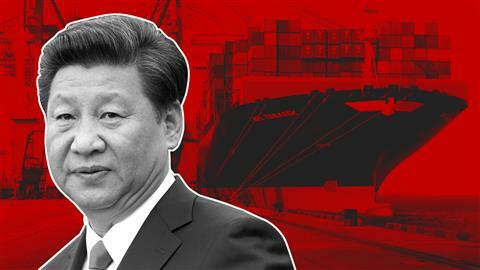 China has pledged to retaliate against U.S. tariffs in “equal scale and equal strength.” In addition to tariffs, here are three ways Beijing could hit back at Washington. The Russian military has put skills developed while fighting in Syria on display in ongoing, historic exercises across Asia—thus helping fellow U.S. rival China obtain crucial combat experience. Russia launched its Vostok war games Tuesday alongside China and Mongolia. The maneuvers were set to be held across 18 ranges, including airfields and the Sea of Japan, and the Bering and Okhotsk seas in the Pacific. The drills—billed as the largest in Russia's modern history—​came amid heightened tensions with Washington, which is also involved in Syria and whose goals there were frustrated by Moscow's largely successful campaign against rebels and jihadis attempting to overthrow the government. 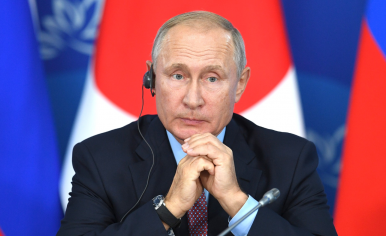 Russian President Vladimir Putin used an appearance at the Eastern Economic Forum in Vladivostok on Wednesday to float the idea of signing a peace treaty with Japan “without preconditions” by the end of 2018. The proposal seems to have caught Prime Minister Shinzo Abe off guard, with the Japanese government’s top spokesman telling reporters it had not been raised at the leaders’ bilateral meeting just two days earlier. Tokyo quickly reiterated its preferred course: resolving Japan and Russia’s long-standing territorial dispute before finalizing the post-World War II peace treaty. Ten years ago this week, Lehman Brothers filed for bankruptcy, and the world suddenly changed. 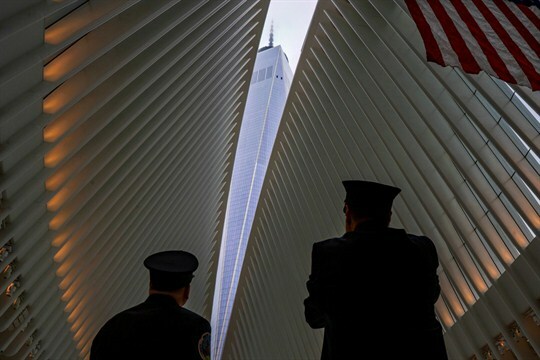 That date, Sept. 15, 2008, was hardly the starting point of the Depression-sized financial crisis that would soon threaten to sink the entire world economy; it had begun more than a year earlier. But most scholars agree Lehman’s failure marked the moment when everyone realized at once that the so-called experts had no idea how deep the interconnections ran. No one knew what the knock-on effects would be as the bank’s hundreds of thousands of trading counterparties around the world panicked; how that, in turn, would affect the next giant tumbling domino, AIG; that money markets would come close to collapse; or that credit would freeze almost instantly. It quickly emerged that Lehman was only the start of a systemic infection. Nearly every Wall Street firm had its dark secret: some obscure derivatives time bomb ticking in an off-balance-sheet closet somewhere in the building, one that few execs seemed to know about or even understand until it was too late. At the turn of this century, most economists in the developed world believed that major economic disasters were a thing of the past, or at least relegated to volatile emerging markets. Financial systems in rich countries, the thinking went, were too sophisticated to simply collapse. Markets were capable of regulating themselves. Policymakers had tamed the business cycle. Recessions would remain short, shallow, and rare. Seven years later, house prices across the United States fell sharply, undercutting the value of complicated financial instruments that used real estate as collateral—and setting off a chain of consequences that brought on the most catastrophic global economic collapse since the Great Depression. Over the course of 2008, banks, mortgage lenders, and insurers failed. Lending dried up. The contagion spread farther and faster than almost anyone expected. By 2009, economies making up three-quarters of global GDP were shrinking. A decade on, most of these economies have recovered, but the process has been slow and painful, and much of the damage has proved lasting. Commander of NATO Allied Land Command (LANDCOM), Lieutenant General John Thomson and Ukrainian Army Colonel General Serhiy Popko, Commander of Ukrainian Land Forces Command have signed a letter of cooperation. The Trump administration has made clear that its top priority in the Middle East is to thwart Iran’s nuclear and regional ambitions. So why is it so reluctant to lift a finger against Tehran’s most audacious gambit in Syria? That gambit is the reconquest, by Syrian dictator Bashar al-Assad and his Iranian and Russian allies, of Idlib Province, the last major rebel holdout in western Syria and home to about three million people. A humanitarian catastrophe is expected to follow, entailing mass casualties and another tidal wave of refugees. By now, the strategic consequences should also be obvious. Iran will have succeeded in consolidating a Shiite crescent stretching from Bandar Abbas on the Persian Gulf to the Bekaa Valley in Lebanon. Russia will have succeeded in reasserting itself as a Mideast military victor and diplomatic power broker. Hezbollah, already the dominant political player in Lebanon, will further extend its influence in Syria. Huawei is the second-largest smartphone manufacturer in the world, recently beating Apple to second place, with the Chinese company selling over 10% of all the world’s smartphones. 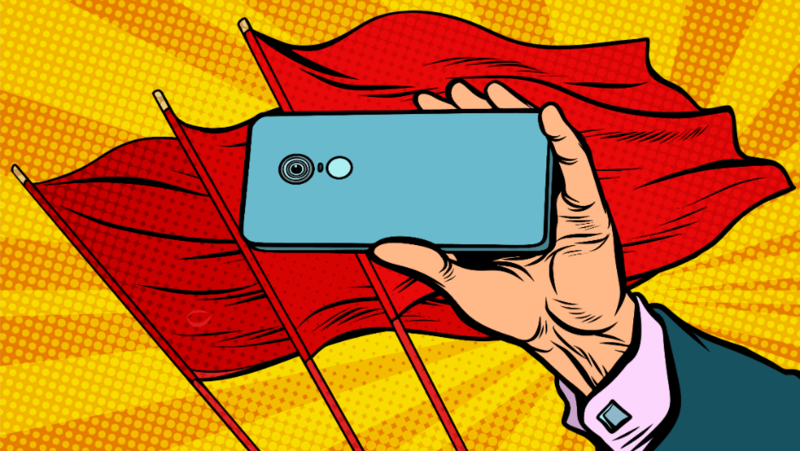 Yet its devices are effectively banned from sale in the US, due to suspicion of Chinese state involvement in the running of the company, and ties to the Chinese military that go right back to Huawei’s inception. So, would you be safe buying a Huawei phone? The quality of its tech is certainly compelling. The Huawei P20 Pro, for example, is widely considered to be the best cameraphone on the market. But, US consumers may never get to own it. Distributed ledger technologies (DLT) – of which blockchain is the best known form – could play a major role in reducing the worldwide trade finance gap, enabling trade that otherwise could not take place, finds a new study by the World Economic Forum and Bain & Company. Its effects would be largest in emerging markets and for small and medium-sized enterprises (SMEs), showing the use of the technology beyond large corporations and developed markets. The global trade finance gap currently stands at $1.5 trillion, or 10% of merchandise trade volume, and is set to grow to $2.4 trillion by 2025, the Asian Development Bank calculates. But a new study shows that this gap could be reduced by $1 trillion if DLT is used more broadly. The largest opportunities could come from smart contracts, single digital records for customs clearance. They would help mitigate credit risk, lower fees and remove barriers to trade. 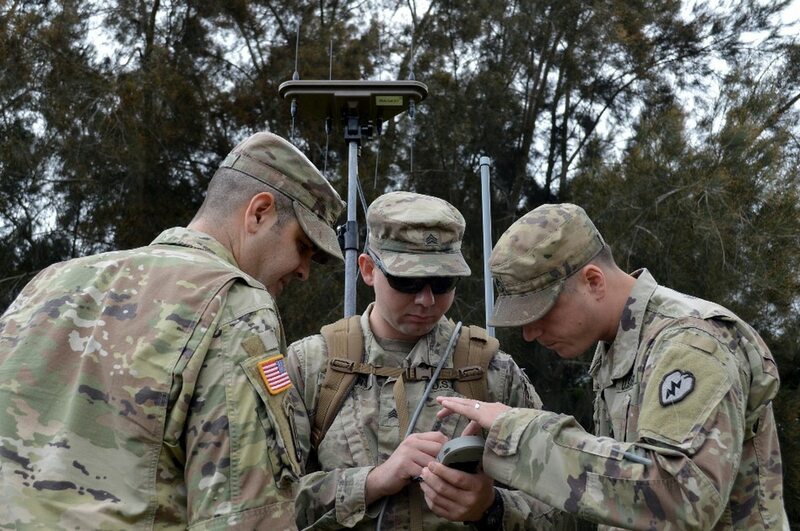 The Army believes integration will be the key to winning in the high tech environments of the future, and to do so the service is building a force that will be well versed in cyber, electronic warfare, signal and information operations. One of the Army’s first moves toward this end is the transition of electronic warfare officers into the cyber branch. Training of mobile training teams will begin in early January to ensure the force will be ready to go on Oct. 1. “That’s important because it takes them out of being a functional area specialist into an operational branch,” Maj. Gen. John Morrison, commander of the Army Cyber Center of Excellence, told Fifth Domain during an August interview. “There’s no difference between a pessimist who says, ‘Oh, it’s hopeless, so don’t bother doing anything,’ and an optimist who says, ‘Don’t bother doing anything, it’s going to turn out fine anyway.’ Either way, nothing happens. 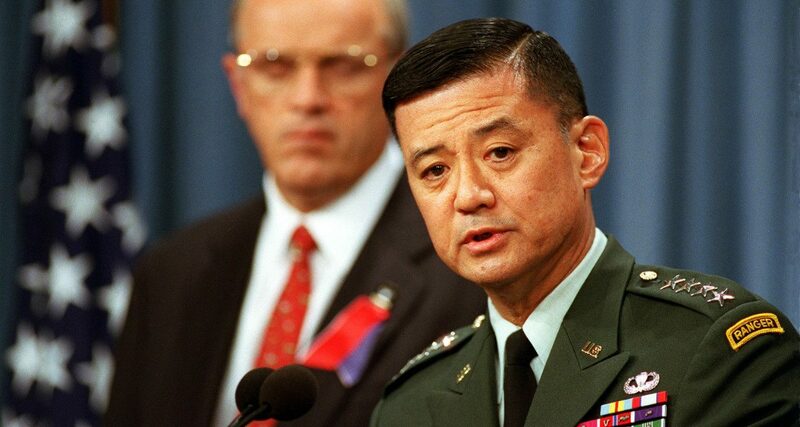 In a recent MWI article, ML Cavanaugh, defending remarks by Gen. John Nicholson, argued that America needs optimistic generals. Ryan Leach and David Danford promptly responded that, on the contrary, America needs cynical generals. I argue that what America really needs are generals who occupy a realist middle ground firmly rooted in facts. Our generals must have the confidence to see themselves through difficulties and inspire their subordinates, while at the same time not let that confidence cloud their judgment as to what is realistically possible. It’s widely understood that warfare evolves with the technology available to combatants. But it’s often forgotten that tactical leadership—the art of command in battle—likewise evolves. For centuries, fighting generals such as Alexander the Great, Genghis Khan, Hannibal, and Saladin exemplified tactical leadership, creating great reputations in the process. Today, however, lieutenants and corporals play the battlefield roles once held by these famous leaders. The U.S. military uses the term “strategic corporal” as shorthand to capture the growing battlefield responsibility held by leaders of junior rank. That responsibility has become both immense and increasingly routine. For years now, corporals and lieutenants as young as 20 years old fighting in Iraq and Afghanistan have regularly made split-second, life-altering decisions with staggering amounts of firepower at their disposal and have been expected to do so in accordance with the national interests, policies, and strategy of the United States.